An interesting two-day course which will appeal to harpists of all ages and attainment. We will have classes for harp learners of all ages and ability – from beginners to advanced players, as well as a special class for adult learners. We have secured a team of excellent course tutors and will place applicants in the most appropriate class . ELINOR BENNETT studied with Osian Ellis at the Royal Academy of Music, London, after completing a degree in Law, and played with major British orchestras in her early career. 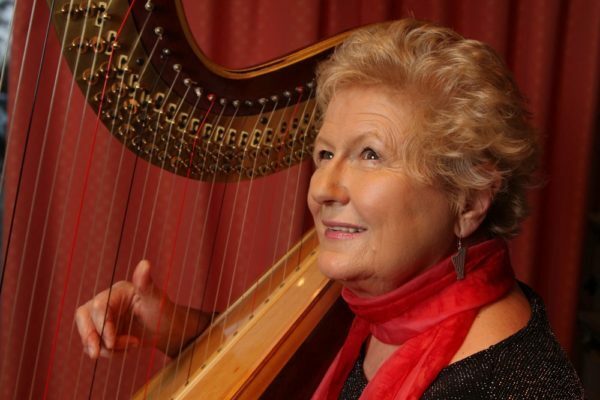 Elinor has made many recordings, ranging from 20th Century classics to Welsh traditional music on Triple Harp. 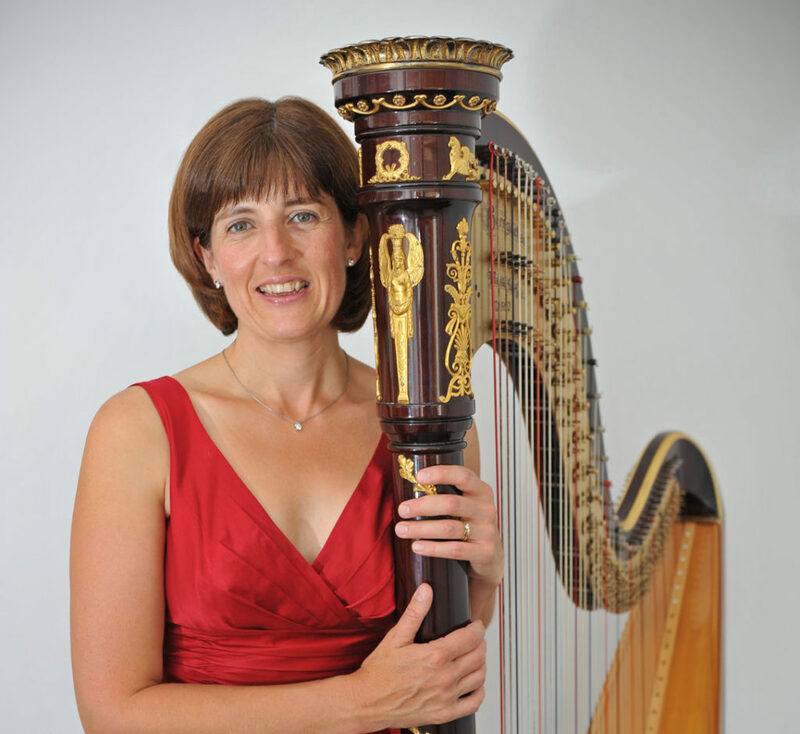 Leading composers have written for her, and she directed harp studies at Bangor University. She was awarded OBE for services to music and Honorary Fellowships from the Aberystwyth, Bangor, Cardiff, Universities, Fellowships from Royal Academy of Music and Welsh College of Music and Drama, and an Honorary Doctorate in Music from the University of Wales. She has directed the Thai International Harp Festival, and the Wales International Harp Festival. Elfair completed her Master’s degree at the Royal Northern College of Music in Manchester, after gaining her BMus degree at the conservatoire with first class honours in 2011 as an ABRSM Scholar. After her studies, Elfair lived in Bangkok, Thailand for two years working as a harp teacher and harpist in residence at the Tamnak Prathom Harp Centre. She has embarked on a professional career as a harpist in the UK; she is a Live Music Now! and Music in Hospitals artist, performing regularly around the UK. She also tours extensively with the CLOUDS Harp Quartet and many chamber ensembles. Originally from the Llŷn Peninsula, Elfair is a William Mathias Music Centre alumna, and has enjoyed many successes at the Welsh Eisteddfodau and festivals. Most recently, Elfair has been busy promoting her debut solo album recorded with SAIN Records. We are delighted to extend a warm welcome to Dafydd Huw as one of our Festival tutors. 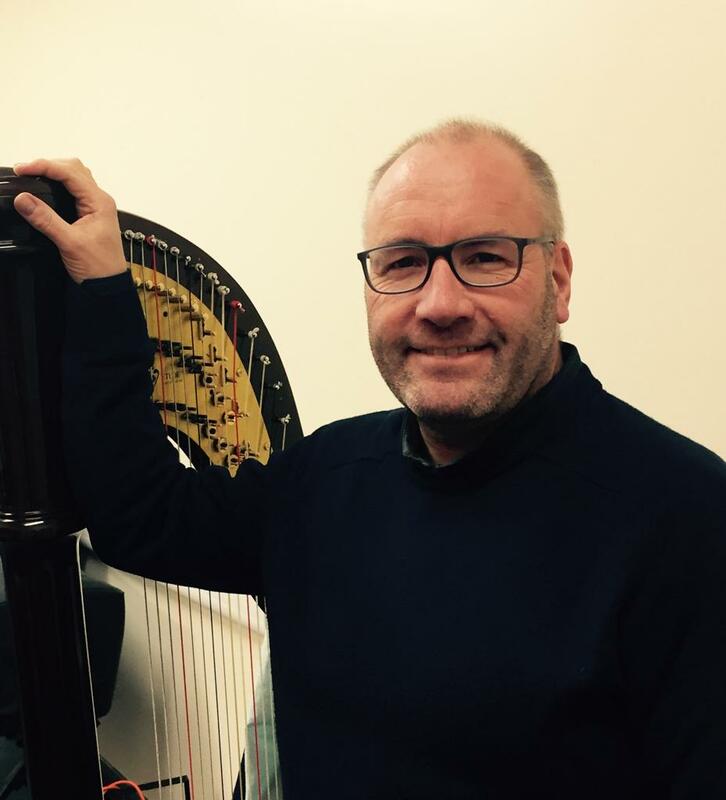 As a young harpist, Dafydd attended several of the early harp courses of Telynau Bangor and became Elinor Bennett’s student whilst completing his BMus degree at Bangor University. Dafydd later studied with Osian Ellis, as Post-graduate student at the Royal Academy of Music, and at the Centre for Orchestral Studies, London, and later worked for the Salvi Harp Company. Dafydd returned to Wales in 1985, and ever since has made an invaluable and important contribution to the growth of interest in the harp. He has worked as teacher and official harpist in most of the National Music Festivals and Eisteddfodau for the last 40 years. Dafydd Huw has taught hundreds - if not thousands - of children and adults. He continues to work as harp tutor in schools in his home area of Conwy, and broadcasts regularly on radio and television. 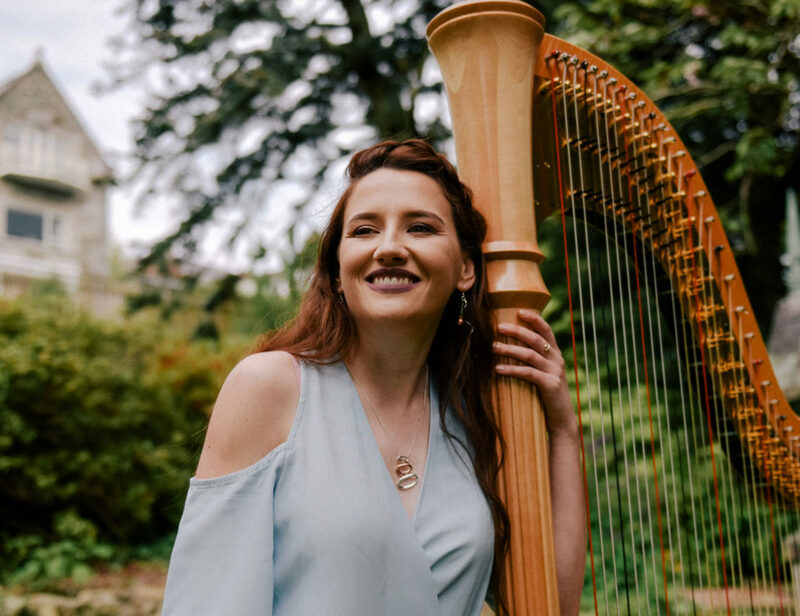 Originally from Bangor, Catrin undertook a Performers’ Course at the Guildhall School of Music and Drama followed by Postgraduate Studies at the Royal Academy of Music where she was awarded a scholarship and won the Renata Scheffel-Stein Prize for Harp. In May 2014 she was elected an Associate of the Royal Academy. This honour is given to the prominent alumni of the Academy who have contributed to their chosen field. Catrin has worked with many of the UK’s leading orchestras and has performed in numerous West End shows in London. Having recently re-located to Pwllheli she now teaches the harp at the William Mathias Music Center in Caernarfon as well as continuing her freelance orchestral work. In order to make sure that we place you the most appropriate group, please complete the Online Registration & Payment form. The course fee is £70, which includes a ticket to the Festival Concert for the course participant if selected. Closing Date to register: 31 March 2019. If you prefer a different payment method, please contact us to discuss options. Cookies help the Festival Team understand how our website is used by its visitors, and are essential for some parts of our website to work properly.